The electronic cigarette Also known as an E-Cig produces a thick vapor that closely resembles that of tobacco cigarette smoke. Unlike tobacco smoke however, there is no Tar and a fraction of the 4000 chemicals currently found in standard tobacco cigarettes. The e-cigarette vapor is created with the use of an atomizer, or heating element. The atomizer heats a small amount of liquid, similar to a fog machine, thereby creating a vapor with the same flavor and consistency as tobacco smoke. An Electronic cigarette does not produce any actual smoke, so there is no need for ignition via a match or lighter. There is no second hand smoke and no risk of fire hazards. My 4 Year old Grand-daughter summed it up best when She said, “Mammaw, I Love your fake Cigarette! The electronic cigarette is automatically turned on when you inhale, and automatically shuts off when you complete the drag, thereby maximizing battery life. The battery of an electronic cigarette comprises most of the device, and is rechargeable via a wall charger, or the USB port of your electronic devices. 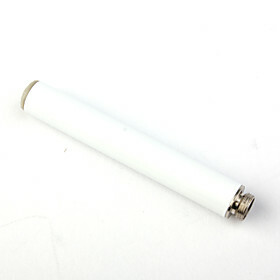 Typically a battery will last anywhere from 3-6 hours depending on the smoking habits of the user. It is common practice to have one battery charging while the other is in use. By rotating batteries this way, the user will not be left without a battery to use. When the user takes a drag from the Electronic cigarette, the tip lights just as you would expect from a standard tobacco cigarette. This is one of our Favorite styles. This is called a Pass-Thru. As you can see one end is corded and can be plugged directly into your USB port on your Computer. With the proper connection, it can plug into your Car Lighter, or even in a USB compatible Wall Charger. This is great while driving or working on the computer, you don’t have to worry about it running your battery down. The only thing you do have to do is re-juice. You also have choices on how you would do that as well. 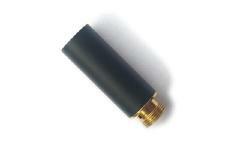 Most who are starting out generally “Top Off” the cartridge and reinsert it into the atomizer. We prefer the “Drip” method. This is where the cart remains plugged into the atty, and you just add 2 or 3 drops into the top. They have specific drip tips, but I just popped off the end of a used cart. Then also popped out the central divider in it as well, and Taadaa!! 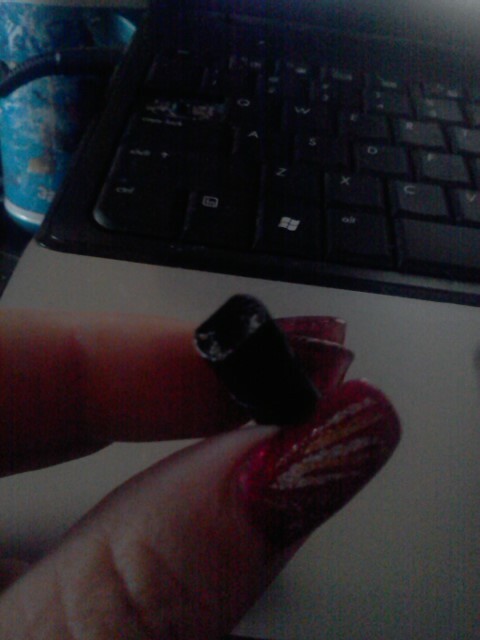 Drip Tip! The atomizer has a threaded end which screws into the rechargeable battery. A minuscule heating element rapidly produces great heat when the vapor draws on the e-Cig. This heat atomizes the eJuice into Vapor for inhalation. CARTRIDGEThe e-liquid is contained within the E-cigarette cartridge, which has the appearance of a standard cigarette filter which is inserted into the open end of the atomizer. As eJuice is vaporized and consumed, more eJuice is added to the batting in the cartridge to refresh it. For more vapor, when juice is added by dripping to the cartridge, drip a few drops of the eJuice directly to the heating element of the atomizer. 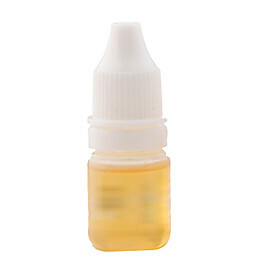 E-JUICEThe liquid, or e-Juice, contains flavoring plus the desired level of nicotine. The third primary ingredient is Propylene Glycol or Vegetable Glycol, which is used to create the smoke effect when heated. As this liquid is heated, the nicotine is inhaled into the body in the same way as a standard tobacco cigarette. Top quality rechargeable batteries such as we sell can take up to 200 charges. Of course, after 100 or so recharges, perform will drop off. Atomizers will typically last 2 weeks to 2 months, depending on your vaping level. 1 milliliter of eJuice is about equal to 1 pack of analogs(Reg pack of Cigs.). Litesales is one of the newest places we have started dealing with. They seem so far to have a great selection at very competitive pricing. SPECIAL: Want to try a starter Kit without spending tons of Money? Free Shipping! Fashionable Big Blister Environmental and Health Rechargeable Mini Electronic Cigarette E-cigar with USB (White) Price is less than $6.00 and free shipping. Premo Edition Electronic Cigarette Starter Kit- The Premo starter kit from Smokeless Delite comes with 2 Premo batteries, 1 Premo atomizer, 1 Wall Charger, 1 pack of variety cigarette flavor cartridges. The Premo starter kit looks and feels just like a real cigarette. I own this cute little set. It is not real powerful, but it sure helps Me in a pinch. It comes in it's own case. It has a USB Charger, atomizer and 10 Cartridges. These Carts have little plastic resivours that you can get plenty of use out of it by refilling. It is a great price at less than $7.00, Free Shipping.. It does take a little bit to get here, about 2-3 weeks. But lots of goodies to poke around for at Mini in the Box. Smokestik was the very first brand we tried when we quit smoking. I like the weightyness, if that is a word. But I like how it felt. Now they even sell skins to cover your battery so that you can change the look into lots of different things like American, Canadian, Mexican, or Italian Flag. Electronic Smokeless Cigarettes from SmokeStick™. 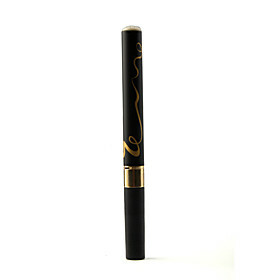 Enter: ECIG10 get 10% Off! WWW.E-CIG.COM -- This is an awesome place for DIY E juice supplies!! Yes Electronic Cigarettes do not produce any kind of smoke and it has a wide variety of new and multiple flavors.Nice post and specially your latest topic about electronic cigarettes is really very remarkable. I think e juice is most important part of electronic cigarette smoking but at the other hand if your battery are lack of timing you will never enjoy pleasent smoking for a long time to overcome this point we introduced Efest IMR 18650 LiMn 2000mAh Battery it is long timing battery which never heats up and also remain productive for a long time. Thank you very much.. Why not Click Follow while you are here?